Posted on 13/09/2018 at 02:48. Deciding on the best time of year to visit Great Wall of China can be a challenge for the unfamiliar. 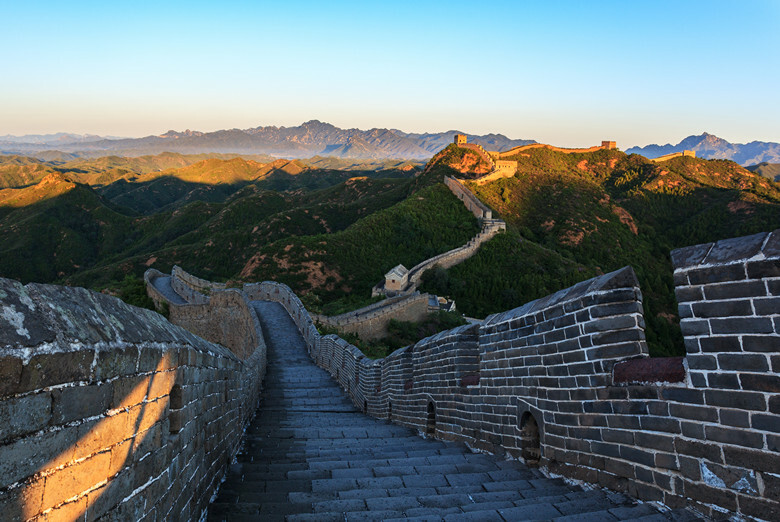 The Beijing sections of the Mutianyu, the Badaling, and the Ming Great Wall in Jinshanling are some of the most famous sections of the entire Great Wall. 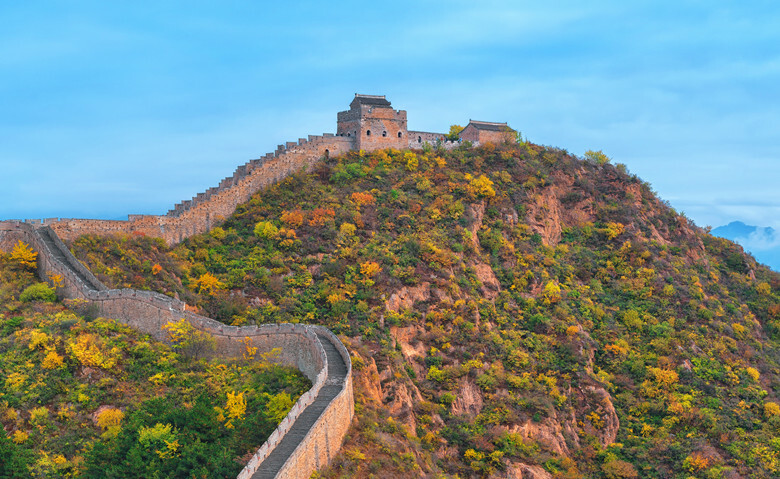 As you decide on the best season to visit the Great Wall, give autumn serious consideration. The fall season offers visitors a breath of fresh air thanks to the cooler weather, fewer crowds, and fall foliage. Unless you really love the heat, summer can be somewhat uncomfortable in Beijing. If you want an absolutely lovely climate (with a bit more risk of rain), autumn is definitely the best time to visit the Great Wall of China. For starters, the season for relaxation in Beijing is autumn. The harvest season follows a brisk, windy spring and long, hot summer. Fresh, crisp fall air fades out the exhausting heat of summer. Locals and visitors alike are able to savor the sights and sounds of the Great Wall without being stifled by humid, hot air. The weather in September features an average temperature of 20ºC/68ºF, a low of 15ºC/59ºF, and a high of 26ºC/79ºF. A drier month, there is an average of eight rainy days in September. As for October, the temperatures are about 10 degrees cooler and you only have an average of five rainy days. While early September can be just as hot as summer, sometimes being close to 100°F, temperatures begin to drop along with the leaves around late September until mid-November, providing pleasant days and only a bit of nighttime chill – perfect for hiking the Great Wall. September 1st means the summer crowds of families, children and young adults head back to schools and colleges. However, Beijing is still busy in early September. If you want to miss the crowds the best months to visit the Great Wall are from mid-September to November. In mid September, school has started, the summer tourists have left, Beijingers are working and you’ll be able to stroll through the city with plenty of room to breathe. This means those fortunate enough to visit the Great Wall of China in the autumn have fewer crowds to cross through. You get the ability to appreciate the Great Wall in solemnity, the way it should be observed rather than the hustle and bustle of summer. This is the perfect time for you to truly experience the surrounding views, sounds, and smells of this awe-inspiring locale. A tip is to avoid visiting between October 1 and Oct 7. This is National Day in China, which is a week-long holiday for Chinese workers. One of the best cures for general melancholy or summer blase is a walk in the fresh, country air. What better way to do this than the Great Wall in Beijing. 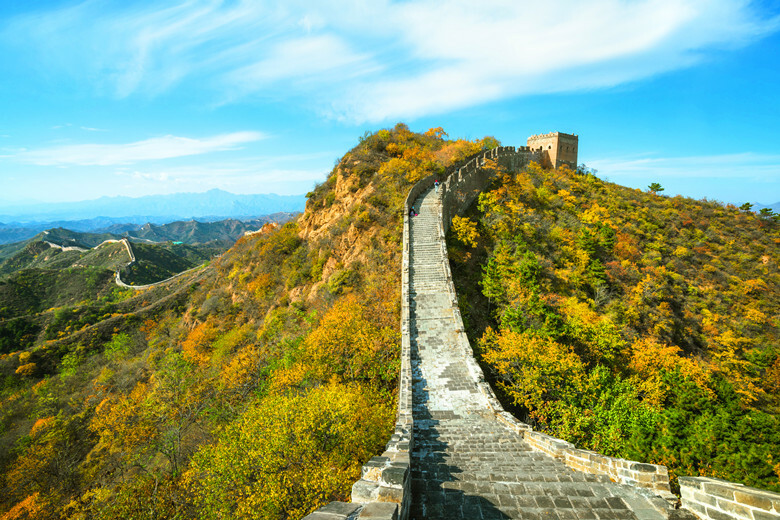 Better yet, fall is the best time of the year for indulging in a lazy stroll along the Great Wall. The cool weather calls for a lightweight sweater, yet it’s not too cold to enjoy the view. Keep in mind that the autumn does signify a shorter daylight period. Optimal walking hours are just after sunrise at 6:30 to 8:30 am or around sunset at 5 pm. Seemingly obvious, but we really did need to highlight this one. In the fall, you get the chance to see the magical beauty of fall’s leaves as they change hue. Starting in the Badaling Forest Park section known as red leaf touring you’ll see brilliant shades of red trees lining the wall. All throughout the city parks and gardens nestled along the Great Wall, the views are ablaze with autumn colors.